The Big Hollywood blogger and actor Adam Baldwin, recently of the television series Chuck and Firefly, has taken up his virtual pen to defend Brit Hume from those who have criticized him for suggesting that Tiger Woods should consider Christianity in his time of crisis. Hume made the statement on Fox News Sunday, thus prompting outrage from secularists who find such an offering offensive and irrelevant. As an avid golfer, Christian man, and therefore a witness to the historic fact of the resurrection of Jesus Christ, Mr. Hume clearly offered his message in good faith with honest concern for both Tiger’s future and for that of his family, friends, fans and business associates. Look carefully at what Baldwin has written. Brit Hume believes Christianity is true and is based on an actual historical event. He is not adverting to some mystery religion (reach for the seventh level, Tiger), but is instead giving advice every bit as practical, or perhaps more so, than urging Mr. Woods to seek marital counseling or to find a good attorney. This is what secularists simply do not understand. They think Christianity is “inaccessible” to others. It is not. You can accept it or reject it, but there is no reason for confusion. The basis of the faith is quite clear. Either you accept the evidence that the resurrection of Christ actually occurred in time and space or you do not. In no case should you accuse the Christian of hitting you with a bunch of magical mysteriousness that you cannot possibly understand. You should really consider reading the entire post. Baldwin completely exposes the inappropriateness and unfairness of the comparisons of sincere Christianity to Jihad and deftly analyzes the pretensions of secularism. I could try to summarize, but would just end up reproducing his essay. 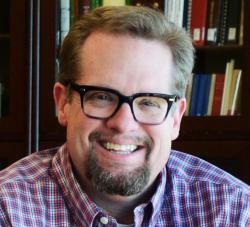 Hunter Baker Hunter Baker, J.D., Ph.D. is an associate professor of political science at Union University and an Affiliate Scholar in Religion & Politics at the Acton Institute. He is the author of The End of Secularism and Political Thought: A Student's Guide.